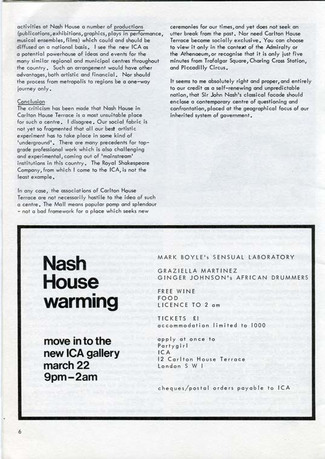 John Donat, following support from the Arts Council, the ICA (Institute of Contemporary Arts) moved from premises at 15-17 Dover Street, Mayfair, to these purpose-built premises at Nash House in 1968, 1968, London, United Kingdom. 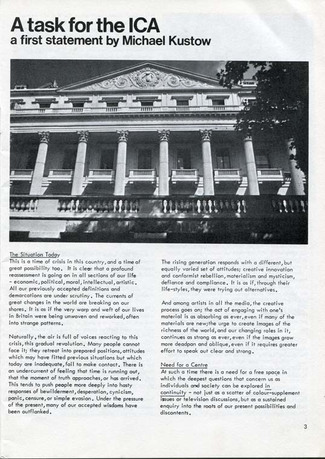 Courtesy of John Donat/RIBA Collections. 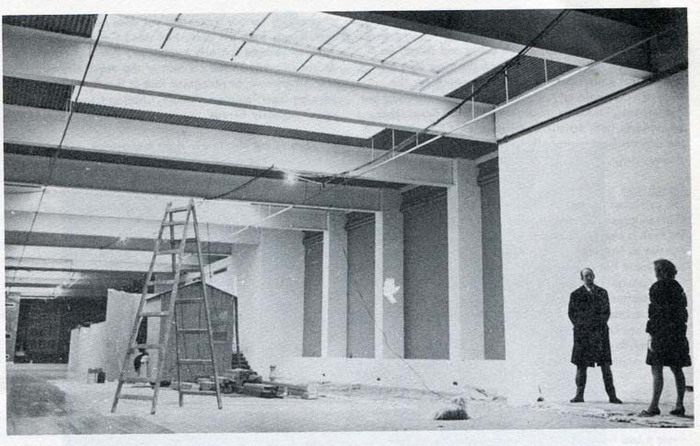 Design and architecture occupies a central role in the ICA’s history, from the people to the program to the venue itself. 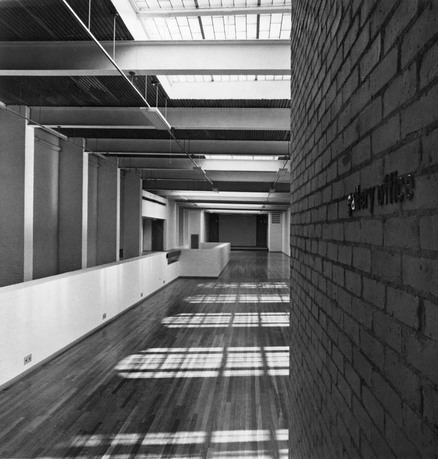 Modernist architect Jane Drew was instrumental in securing our current London location. Across a year from the end of September 2017 until summer 2018, the ICA will host a range of public research forums spanning talks, workshops, and displays. This program, building on the legacy of the work of Jane Drew, will bring together specialists in the field to advance discussions around contemporary architecture as a platform for facilitating cross-disciplinary dialogue. Participants will include Catherine Rossi from Kingston University and Iain Jackson of Liverpool School of Architecture. Discussions will be informed by themes relevant to the ICA’s architectural heritage and the wider career of Jane Drew, who alongside the radical design of the ICA in 1968, and structures for the Festival of Britain, worked on social and low-income housing projects in London and India. 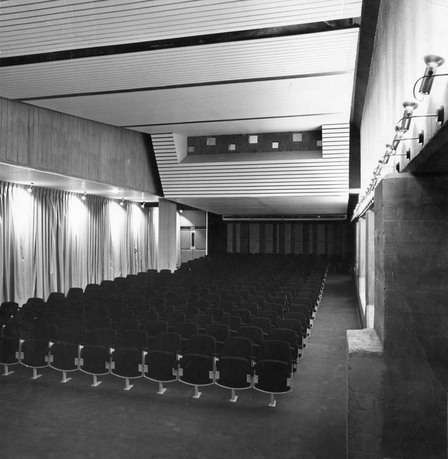 Specifically, these forums will be focused on three areas: the role of architecture in relation to the institutional identity of arts organisations, specifically with regard to interdisciplinary arts spaces; the crisis of social housing in the UK, considered from the perspective of architectural practice and theory; and the role of feminist politics in relation to architecture. Dame Jane Drew, DBE, FRIBA (1911–96), was an English modernist architect and town planner. She qualified at the Architectural Association School in London; prior to World War II, she was involved in the Modern Movement through the Congrès International d'Architecture Moderne (CIAM), whose guiding spirit was the Swiss architect Le Corbusier, and became one of the leading exponents of the modern movement in London. At the time Drew had her first office, with the idea of employing only female architects, architecture was a male dominated profession. She was active during and after World War II, designing social and public housing in England, West Africa, India, and Iran. 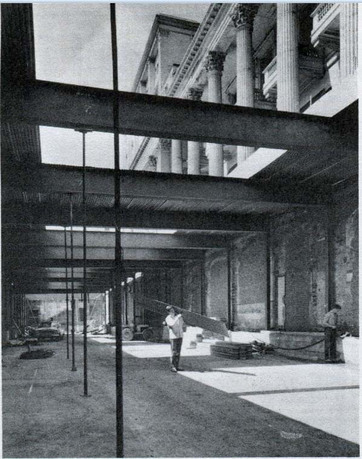 In 1950, she did the interior design for the ICA at 17/18 Dover Street, London, and played an important part in its relocation to Carlton House Terrace in 1964. After World War II, Indian Prime Minister Pandit Nehru asked her to design the new capital of Punjab, Chandigarh, and she involved Le Corbusier in the project, as they had a shared interest in the problems of housing in underdeveloped countries and in experimenting with new forms of design and planning. Stefan Kalmár joined the ICA as director in 2016. He was previously executive director and curator at Artists Space, New York, from 2009 to 2016. 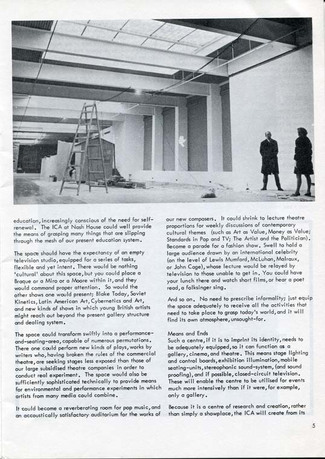 Under his leadership, Artists Space became one of the most innovative contemporary arts organizations in New York, widely praised for the integrity and critical rigor of its programming. Exhibitions during his tenure supported and introduced artists at decisive moments, including: Marc Camille Chaimowicz (2009), Danh Vō (2010), Charlotte Posenenske (2010), Duncan Campbell (2012), Bernadette Corporation (2012), Sam Pulitzer (2014), Hito Steyerl (2015), Laura Poitras (2015), Cameron Rowland (2016), and Lukas Duwenhögger (2016). Prior to joining Artists Space, Kalmár was director of Kunstverein München (2004–09), director of the Institute of Visual Culture, Cambridge, UK (2000–04), and artistic director at Cubitt Gallery, London (1997–99). 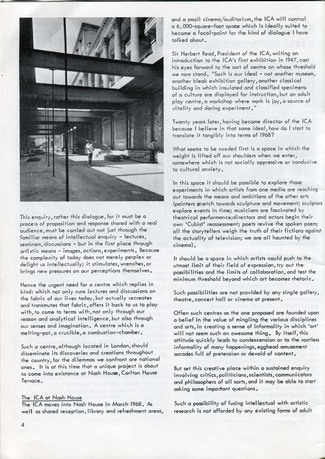 Catharine Rossi is senior lecturer in design history at the School of Critical Studies and Cultural Industries at Kingston University's Faculty of Art, Design, and Architecture, London. A University College London graduate in Italian and design, she holds a PhD in the history of design from the Royal College of Art/V&A Museum and is interested in researching, writing, talking, and teaching about design past and present for a wide range of audiences. Her first research area concerns design and its relationship to craft, where she examines the craft's role in Italy's celebrated design history from post-war to postmodernism. She is also interested in radical, critical, politically and socially engaged design. A regular symposia and conference participant, she also writes for magazines including Crafts, Disegno, and Domus, and has contributed to exhibitions, including the Venice Architecture Biennial (2014). Prior to joining Kingston, she was a context lecturer at Edinburgh College of Art. Iain Jackson is senior lecturer, director of undergraduate studies, and an architect at the Liverpool School of Architecture. His current research interests are concerned with the history of architecture and twentieth-century works in colonial and postcolonial nations, with a particular interest in the notion of modernism within India, specifically in Chandigarh, including the housing Jane Drew worked on with Le Corbusier. He recently completed a research project investigating the work and impact of Maxwell Fry and Jane Drew. He was invited to speak at the Architectural Association on Jane Drew: From Croydon to Chandigarh in 2015, and at Archipel on Maxwell Fry and Jane Drew: from West Africa to Chandigarh in 2013. He also received the DAM Architectural Book Award for The Architecture School Survival Guide in 2015. He is a member of the AHRA-Architectural Humanities Research Association and of the Society of Architectural Historians of Great Britain. 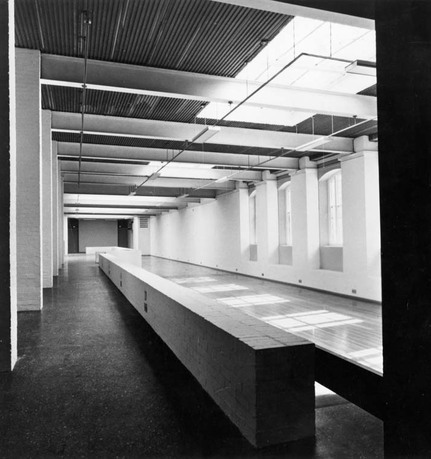 Established in 1946, the Institute of Contemporary Arts (ICA) is the UK's original, multidisciplinary arts center, existing today to create a space for new, experimental, and independent arts practice and ideas. Housing two galleries, two cinemas, a theatre, learning room, studio, bookshop, and bar, the ICA presents an international program of work across art forms to a wide and diverse range of audiences.